One of the most dramatic manifestations of climate change caused by global warming is the rapid increase in the seasonal melting in the Arctic Ocean. A large area formerly under permanent ice cover is now open water during the summer months, and this area has been growing rapidly for the last 30 years. The best scientific evidence suggests that the Arctic Ocean will be ice - free in as little as 20 years. Predictably, the drive to open new sea routes and exploit seabed resources has already begun, and may be expected to accelerate in the next few decades. In the words of a Canadian expert, "The Arctic has become a hotbed of territorial disputes as surrounding countries spar for the control of resources... competing claims over Arctic territory are escalating . While thus far the most significant power players in this competition are the geologists and their seabed mapping, security experts worry that this competition may rapidly become militarized. Indeed, provocative military actions have already begun to occur. Apparently on a training mission, and almost certainly without a nuclear payload, the two planes flew over the Arctic to the Beaufort Sea. According to an official of the Russian Federation Embassy in Ottawa, they came to within 200 kilometres of the Alaska/Yukon border before turning back to base. Nine days later Canada's Defence Minister, Peter MacKay, held a press conference with the Chief of Defence Staff and the U.S. head of NORAD, to announce that the flight had occurred and a Canadian CF-18 Hornet had been scrambled to meet the Russian aircraft and force them to turn back. He strongly reprimanded the Russians for the flight, and pointed out that the incident occurred a day before President Barack Obama was to visit Ottawa. The Prime Minister went further. Stephen Harper said, "I have expressed at various times the deep concern our government has with increasingly aggressive Russian actions around the globe and Russian intrusions into our airspace." This tough talk from senior Canadian ministers was reminiscent of the Cold War. But the sabre-rattling proved embarrassing when it became clear that the Russian aircraft did not enter Canadian airspace after all. Even the U.S. commander of NORAD, General Gene Renuart, was unmoved by the purported Russian threat, saying: "The Russians have conducted themselves professionally; they have maintained compliance with the international rules of airspace sovereignty and have not entered the internal airspace of either of the countries." But the incendiary talk illustrates what some have called Bear-baiting and Russophobia. Canada's former ambassador to Russia and former UN ambassador for disarmament Chris Westdahl says Canada "should stop picking fights where none need be, with Russia." But the current Conservative Government sees Bear-baiting as good politics, in line with its increasingly aggressive efforts to assert Canadian sovereignty in the Arctic. Reporters have noticed increased use of the phrase "Arctic Power" to describe Canada in government statements. Canada's Foreign Affairs Minister has said that "Canada will not be bullied," and met with Russia's Foreign Minister to request that Canada receive advance notice of future training missions. The issue of advance notice of flights was raised in Parliament, as MPs questioned a Russian embassy official on the process. Canadian government officials claimed they had no advance notice, but the Russian official said that notice was given to the United States under the terms of the 1991 START agreement. The apparent ignorance of the Canadian government was therefore the responsibility our NORAD partner, not the Russians. Testifying before the U.S. House Armed Services Committee, General Renuart, the Commander of U.S. Northern Command and NORAD said that in 2008, pairs of Russian TU-95 Bear-H aircraft flew into NORAD's Air Defense Identification Zone on seven separate occasions. All but one of these flights was unannounced, and foreign planes never violated North American airspace. On another occasion, Renuart told a Canadian audience that "from the end of the Cold War to 2006, there were 10 or 11 or 12 Russian patrols up in the Arctic region. Since 2007, there have been a total of 30". The February aircraft incident, which evoked such a strong reaction from the Canadian government, stands in stark contrast to another incident involving nuclear - capable forces and Canadian sovereignty. In August 2008, Canadian Forces quietly deployed naval and air assets to investigate a report of a foreign submarine sighting near the eastern entrance of the Northwest Passage. The sub sighting - what the military described as a reliable report from hunters - occurred near the northern end of Baffin Island on August 9, 2008. The sighting was linked to a report a few days earlier of a mysterious explosion in the area, widely reported in the media. Another group of hunters heard the explosion, which was so large it shook their cabin. They emerged and saw a plume of black smoke some distance away. But in the case of the explosion and submarine sighting, the military commented only on the explosion, and rewrote planned responses to journalists, removing any reference to the submarine. What accounts for the sharp contrast between the Government's bellicose pronouncements in response to a routine Russian training flight, and its attempts to hide a submarine sighting near the entrance of the Northwest Passage? And obvious explanation is the difference in the Canadian Forces capability to respond to aircraft and submarine intrusions. Bomber flights are easily detectable on radar, and Canada can scramble its CF-18A fighters to intercept the Russian aircraft. But we have no way of identifying or monitoring submarines, nor can we intercept them; in fact, the sub could have belonged to one of our allies. Very likely the Canadian government also wanted to avoid a repeat of the 2005 visit of a U.S. nuclear attack submarine to the Arctic that coincided with the Canadian federal election. The Liberal government of the day was embarrassed when it was revealed that one of the most modern of the US Navy's nuclear - powered fast -attack submarines, USS Charlotte, had spent two weeks under the Arctic ice pack, surfaced at the North Pole, and possibly crossed into Canadian territorial waters. The Charlotte is one of only two US fast - attack submarines capable of landing and retrieving US Navy Seals and other Special Operations Forces for onshore missions, and like all Los Angeles class submarines is capable of launching Tomahawk (BGM-109) cruise missiles equipped with W-80 150kt. nuclear warheads. The US Navy considered the Charlotte's voyage a major achievement and technical milestone. When contacted at the time, a U.S. embassy spokesperson simply said the submarine did not need Canada's permission to travel through international waterways. The problem is that the U.S. does not recognize Canadian sovereignty claims beyond 12 nautical miles from the coast, and considers the Northwest Passage international waters. In order to monitor traffic, the Canadian government has tried to build an underwater network of listening devices to track submarines along the eastern part of the Northwest Passage. An attempt in the 1990s fell apart when its hundred-million-dollar price tag fell afoul of the government's austerity and deficit - reduction programs. A second attempt, launched in 2007 by the current government to fulfill an election promise emanating from the USS Charlotte incident, has also been delayed. Listening devices and land-based sensors on Devon Island were installed in 2008 as part of the Northern Watch program. But reports published last month say that the program is in hiatus as scientists review the data collected. During the Cold War, Russian and United States nuclear submarines played cat and mouse games under the Arctic ice. The airspace above the Arctic was the transit route for the nuclear-armed bombers. While NORAD has taken the Russian Arctic flights in stride, and the Canadian government has used them for political hyperbole, their pilots continue to train for nuclear missions. Russia maintains a fleet of 77 strategic bombers: 14 TU-160's (NATO designation "Blackjack", supersonic bombers similar in design to the U.S. B-1 bomber. The remainder of the fleet consists of 63 propeller-powered Tu-95 Bears. While most analysts regard the aging fleet of Tu-95's as obsolete, fit only for reconnaissance missions, and the TU-160's too few in number to pose any significant threat to North American air defenses, they retain their nuclear capability. Russia retains 856 nuclear warheads for potential use on these on these aircraft, primarily long - range cruise missiles, representing about a third of Russia's Strategic Offensive Forces. The aircraft have stepped up operations outside and inside Russian airspace during the past year, and have held long-range exercises in the North Atlantic and North Pacific. Because of their virtual obsolescence, these aircraft are primarily used to "show the flag" in visits to friendly countries such as Venezuela. But the reality is that the bomber component of the Russian strategic nuclear force is for all intents and purposes obsolete. We must not confuse inflated Russian claims and the "bean - counting" of arms control treaties with the reality of military capability. More generally, nuclear operations are no longer a significant role for manned bombers - not even the far more capable ones of the US Air Force. The real issue here is not cold military calculus but the psychology of threat and threat - perception. The increased activity of Russian aircraft in the Arctic is part of a carefully designed signal that Russian claims in the Arctic will be pursued with greater vigour, and enforced if necessary with military might. The fact that these aircraft are nuclear - capable ensures that this signal will be heard, loud and clear, by the other Arctic nations. In the Arctic only nuclear-powered submarines can stay submerged long enough to operate. Thus far, only the United States, Russia, Britain and France have nuclear-powered submarines that can patrol in the Arctic. For our purposes, nuclear - powered submarines come in two varieties. Fast attack boats (SSN's) are designed primarily to hunt and destroy surface vessels and other submarines, although sometimes they are equipped with cruise missiles for land-attack missions. They are fast (up to 32 knots submerged speed), can descend to 300 meters, and their relatively small displacement (no more than 7,000 tonnes) makes them comparatively maneuverable. Most important of all, they can operate with extreme stealth, evading detection by surface ships, aircraft, and usually other submarines as well. It cannot be emphasized enough that stealth is a submarine's only real protection; it cannot outrun a destroyer or a helicopter, and only by evading detection can it be safe from attack and destruction. Submarines whose sole mission is to fire ballistic missiles (SSBN's) are far larger (up to 20,000 tonnes displacement) and somewhat slower (25 knots flank speed) and therefore - and this is critical to what follows - considerably less maneuverable than their SSN stable mates. Long, heavy and slim (the American Ohio - class is 170m. long with a beam of only 10 meters), and propelled by a single screw, rapid maneuvers can seldom be performed safely, and almost never in such a way as to maintain the stealth critical to their mission. A helm order such as "full astern" or "hard aport" will cause the propeller to "cavitate" (simply, make noisy bubbles) that give away its position and thus its only real protection. Russia currently claims to maintain a fleet of ten missile submarines, six Delta IV and four Delta III class, which are equipped with 160 submarine-launched ballistic missiles, carrying 576 nuclear warheads. The Russian navy is attempting to modernize some the Delta IV hulls to carry the new R-39M missile. The new Borey - class of missile submarine is in development, but has been subjected to nearly ten years of delay owing to technical problems and budget shortages. After many failures in attempting to design a solid - fueled submarine-launched ballistic missile, Russian naval engineers decided to modify the successful Topol-M ICBM design for submarine use, and the 3M14 Bulava was successfully tested in June 2007. This being the first successful test after many staging and navigational failures, it was obvious that many years of development would precede deployment. Obviously, there is a good deal of controversy and confusion concerning the submarine component of the Russian strategic nuclear force. Although submarine patrols have increased in the last few years, they are nowhere near the levels seen during the Cold War. While Russian submarines currently carry 23 per cent of the country's 2,668 strategic warheads, the oft - quoted prediction that this proportion may increase sharply in the next decade, is contingent on a number of uncertain and rapidly - changing and factors. Two are especially noteworthy by way of illustration. First and foremost, the Russians have had very considerable success in upgrading their land - based ICBM capabilities, and comparatively little in bringing new SSBN - SLBM systems online. Detail here is beyond the scope of this paper, but is it useful to contrast the enormous success of their road - mobile and MIRV - capable Topol-M program with the above - noted near - fiasco attending the development of the Bulava - Borey submarine missile systems. Second and even more important are developments in the United States. As of this writing, the forthcoming Strategic Posture Review has not been finalized. But many knowledgeable sources believe it will represent a sharp break with previous thinking, and - in line with President Obama's stated views - call for the United States to rapidly negotiate a sharp reduction in the overall number of strategic warheads, leaving perhaps less than a thousand "active". The Russians can hardly pass up this opportunity to relieve themselves of their own costly nuclear white elephant, but in doing so they will have to choose which warheads and what launch systems will be retained, and which scrapped. The bureaucratic infighting will be as fierce and bitter as its American counterpart, but it hard to imagine that they will scrap their most reliable and easily - modernized and modified new ICBM systems in favour of unproven new submarines and missiles. So, projecting from what we know into a best educated guess - and, at this moment, it is still a guess - the balance of probabilities suggests that the Russians will phase out relatively more of their naval systems, and concentrate an even larger proportion of their remaining strategic forces in their traditionally strong ICBM systems. But of course that does not mean that nuclear submarines worldwide will diminish in importance. Unlike the Russians' focus on land-based nuclear weapons, the United States has taken submarines as the platform of choice. The U.S. operates a fleet of 14 Ohio-class Trident missile submarines that carry an estimated 1,152 warheads, or 43 per cent of the operational U.S. arsenal. Using documents obtained through the Access to Information Act, Kristensen found that the U.S. continues to operate its nuclear-armed submarines at rates similar to Cold War levels, and conducts more submarine patrol missions than the rest of the world combined. In 2008, Ohio class subs conducted 31 patrols, most of them from the west coast base at Bangor, Washington. The average patrol lasts 72 days submerged, and some missions have gone past 100 days. The British and French have come to rely completely on submarine fleets to deploy their respective nuclear arsenals. Britain withdrew its last air-dropped nuclear bomb in 1998, and since then has a fleet of four Trident nuclear missile submarines, with one on patrol at all times. The fleet is closely integrated with the U.S. fleet, combining its D-5 nuclear missiles and approximately 200 warheads with the U.S. stockpile. The French fleet of four nuclear missile submarines, carries 240 of the country's 300 nuclear warheads. All four of these countries can operate missile submarines in the Arctic. Although the "patrol boxes" of ballistic missile submarines are the most closely held military secrets of the nuclear submarine powers, it is certain that the Russian "boomers" are patrolling in the Arctic. It is far less likely that American Tridents patrol in the Arctic. As noted above, most patrols leave from Bangor, Washington on the Pacific Coast, and could only enter the Arctic through the narrow and shallow waters of the Bering Straight, far from ideal for a large "boomer". Without any real knowledge, a "best guess" would be that their patrol boxes are in the vast and deep expanses of the Pacific. The British and French SSBN's could enter Arctic waters more easily, and in principle could "hide" in the thermal and salinity layering of Arctic waters in a manner similar to the Russians. What is certain, however, is that the Russian Arctic - based Northern Fleet - comprising over three quarters of its ballistic missile force - is continually "stalked" by American (and perhaps British and French) fast - attack submarines from the moment the Russian submarines leave port. While as noted above the number of Russian "boomer" patrols has sharply declined since the days of the Cold War, the underwater games of "cat-and-mouse" continue as before, with several near - collisions being reported as the Russian subs become increasingly successful in shaking off their American "tails". The Cold War is not entirely over beneath the rapidly - melting Arctic ice, and Russia's nuclear submarine bases north of the Arctic circle are yet another powerful signal that the Russians intend to enforce their claims in the Arctic. So while the prospects for major progress on US - Russian bilateral disarmament have never been brighter, this has not been reflected in military relations in the Arctic region; if anything, the opposite is the case. The fact is, the Arctic is becoming a zone of increased military competition. Russian President Medvedev has announced the creation of a special military force to defend Arctic claims. Last year Russian General Vladimir Shamanov declared that Russian troops would step up training for Arctic combat, and that Russia's submarine fleet would increase its "operational radius. "Recently, two Russian attack submarines were spotted off the U.S. east coast for the first time in 15 years. In January, on the eve of Obama's inauguration, President Bush issued a National Security Presidential Directive on Arctic Regional Policy. It affirmed as a priority to preserve U.S. military vessel and aircraft mobility and transit throughout the Arctic, including the Northwest Passage, and foresaw greater capabilities to protect U.S. borders in the Arctic. The Bush administration's disastrous eight years in office, particularly its decision to withdraw from the ABM treaty and deploy missile defence interceptors and a radar in Eastern Europe, has greatly contributed to the instability we are seeing today. The Arctic has figured in this renewed interest in Cold War weapons systems, particularly the upgrading of the Thule Ballistic Missile Early Warning System radar for ballistic missile defence. The Canadian government, as well, has put forward new military capabilities to protect Canadian sovereignty claims in the Arctic, including proposed ice-capable ships, a northern military training base and a deep water port. Earlier this year Denmark released an all-party defence position paper that suggests the country should create a dedicated Arctic military contingent that draws on army, navy and air force assets with ship-based helicopters able to drop troops anywhere. Danish fighter planes could be patrolling Greenlandic airspace. Last year, Norway chose to buy 48 Lockheed F-35 fighter jets, partly because of their suitability for Arctic patrols. In March, that country held a major Arctic military practice involving 7,000 soldiers from 13 countries in which a fictional country called Northland seized offshore oil rigs. The manoeuvres prompted a protest from Russia - which objected again in June after Sweden held its largest northern military exercise since the end of the Second World War. About 12,000 troops, 50 aircraft and several warships were involved. Jayantha Dhanapala, President of Pugwash and former UN Under-Secretary for Disarmament Affairs, summarizes the situation bluntly. He warns us that "From those in the international peace and security sector, deep concerns are being expressed over the fact that two nuclear weapon states - the United States and the Russian Federation, which together own 95 per cent of the nuclear weapons in the world - converge on the Arctic and have competing claims. These claims, together with those of other allied NATO countries - Canada, Denmark, Iceland, and Norway - could, if unresolved, lead to conflict escalating into the threat or use of nuclear weapons." The Canadian Pugwash Group issued a call in 2007 for an Arctic Nuclear Weapon Free Zone, which has been distributed and commented upon widely. While nuclear weapons are not the only threat to peace in the region, they are the most potent. The proposal has served to spark the imagination of many people concerned about the militarization, or re-militarization, of the Arctic, and increased U.S.-Russian tensions. But, as with all substantive and original arms control proposals, there are obstacles that will hinder the negotiation of an ANWFZ. We shall proceed by outlining the major barriers, and then explore strategies that various nation parties might work around them to reach our goal of de - nuclearizing the Arctic littoral. There are three major obstacles that make an Arctic Nuclear Weapon Free Zone extremely difficult to negotiate. The first we discussed at some length above: The Russian Federation (and perhaps other NWS as well) routinely deploys a large proportion of its ballistic missile - firing submarines on patrol in Arctic waters. These patrols are the object of endless cat-and-mouse games involving the Russian SSBN's and the fast - attack submarines of the USN and other NATO navies, joined other NATO ASW forces: ASW - capable surface ships, aircraft, and helicopters. In response, Russian fast - attack submarines and aircraft enter the fray. The second major set of "facts on the ground" creating obstacles for a negotiated Arctic NWFZ is that virtually all of the largest and most important naval bases of the Russian Northern Fleet - comprising three - quarters of the Russian Federation's complement of SSBN's - are located north of the Arctic Circle. The largest of these Zapadnaya Litsa, is located on the Kola Peninsula at latitude 69º 27', and its support bases are scattered throughout the area between Murmansk and Archangelsk. However, as we shall argue below, neither the presence of nuclear - capable submarines under Arctic waters nor the presence of nuclear weapons possessed by a NWS need necessarily prevent the creation of a NWFZ in the Arctic littoral. A third major obstacle is the position of the United States. Like the Russian Federation, it is both an Arctic State and a Nuclear Weapons State. Unlike the Russian Federation, the U.S. does not currently deploy nuclear weapons in its Arctic territory (Alaska), but it is almost unimaginable that the Americans would agree to declare any portion of their territory free from nuclear weapons. But this is not the only - and perhaps not the most important - obstacle presented by the U.S.
To begin with, all of the other Arctic States save the Russian Federation are close military allies of the U.S. through their common membership in NATO. Historically, NATO member states have almost never undertaken a major security initiative without at least the tacit acquiescence of the United States. But membership in NATO has implications for an ANWFZ that go beyond the inevitable pressure that a militarily dominant state exerts over its lesser partners. Partners in the NATO alliance are committed to its core military doctrine known as its "Strategic Concept", which includes specific references to nuclear weapons. According to NATO doctrine, nuclear weapons are not merely one tool in the arsenals of the three NWS that are NATO members. Nuclear weapons make a "unique contribution" to the deterrence provided by the NATO alliance, and are therefore "essential to preserve peace". Furthermore "deterrence" is construed so generally as to "permit the use of nuclear weapons when deemed militarily useful in virtually any circumstance". Further yet: several other NATO partners who are not NWS allow American tactical nuclear weapons to be stationed on their territory as part of their commitment to NATO. It might well be possible to draft an Arctic NWFZ Treaty that does not conflict with the letter of NATO members' commitments to the Alliance's Strategic Concept, but the discussion above makes it clear that membership in a NWFZ would be incompatible with its spirit. Even if this were not the opinion of the participating NATO member, it would almost certainly be the view of the United States. And, historically, NATO members have almost never challenged the U.S. on matters of NATO military policy. 2. No restrictions should be imposed on the high seas freedoms of navigation and overflight, the right of innocent passage of territorial and archipelagic seas, and the right of transit passage of international straits. It is reasonable to assume that condition (1) would apply directly to the security obligations of NATO members as discussed above, and in particular their adherence to NATO's Strategic Concept. Since all Arctic states save the Russian Federation are NATO members, must we assume - as suggested above - that NATO nuclear doctrine would preclude participation in an ANWFZ treaty ab initio? We shall argue as we have previously in reference to Russian naval bases that this need not necessarily be so. Condition (2) poses another sort of problem, because although most NWFZ treaties permit the zonal state to grant transit rights, these are allowed only for ships and aircraft not carrying nuclear weapons. This would seem to conflict with the long - standing U.S. policy to neither confirm nor deny the presence of nuclear weapons on board its ships and aircraft. But, as we have argued elsewhere, there are ways in which this seeming conflict can be worked around. For Canada, the most important sticking point will be (3), because of the long - standing, albeit low - key dispute between Canada and the United States over the status of the Northwest Passage. The Canadian government has long declared the Northwest Passage - a narrow ship channel wending its way through the Islands of the Canadian Arctic Archipelago - to be Canadian internal waters. But the United States - joined by the EU - claim that the Northwest Passage is an international strait. The Canadian claim of sovereignty would permit her government to deny transit of nuclear weapons, but if the NW passage is deemed an international straight all ships may transit freely under the traditional right of "innocent passage". Finding a solution to the problems created by these conflicting claims will be one of the most difficult challenges for any Canadian attempt to join an ANWFZ. But despite all of these daunting obstacles, we shouldn't give up before even getting started. Let's take a step back and remind ourselves of the provisions that must be included, and the criteria that must be met to create a new Nuclear Weapons - Free Zone. We shall argue that while the creation of an ANWFZ poses new challenges, these are not insuperable. An important feature of NWFZ agreements will guide our reasoning: they do not have to be created by negotiating a single, all - encompassing legal instrument. They can, and often have, been put together piecemeal, step by step. What follows is, first, a recapitulation of the "rules of the road" for the creation of NWFZ's. Then, we put forward a series of initial steps to a move toward the goal of a nuclear - free Arctic. Finally, we shall attempt to demonstrate that factors and forces external to the region may help us move towards the final goal of an inclusive ANWFZ Treaty. In short, we are not claiming that building an ANWFZ will be an easy task, or that it will necessarily resemble closely previous agreements. But we can combine the lessons of history with the unique circumstances of the Arctic to achieve our goal. No one can deny that regional denuclearization treaties - Nuclear Weapons Free Zones - have been an important part of the "toolkit" of the global movement to prevent the spread of nuclear weapons. And, it goes without saying that anything that might assist worldwide efforts to prevent nuclear proliferation is worth pursuing as vigorously as possible. For these reasons, the Canadian Pugwash Group, now joined by many other NGO's, has begun a concerted effort to research the necessary preconditions for a Nuclear Weapons - Free Zone in the Arctic. To reiterate: to create an ANWFZ is to ride the area north of the Arctic circle of nuclear weapons. Other such zones have been established: what lessons do they hold? A comprehensive analysis of the creation, problems overcome, and the general effectiveness of Nuclear Weapons - Free Zones is beyond the scope of this paper, but suffice it to say that at least four denuclearization agreements in populated parts of the world have entered into force. These are: the 1967 Treaty of Tlatelolco comprising Latin America; the 1985 Treaty of Rarotonga comprising much of the South Pacific; and the 1992 Declaration on the Denuclearization of Korea, and the 1995 Treaty of Bangkok covering much of Southeast Asia. Two others, the 1996 Treaty of Pelabinda covering Africa, and the 2006 Treaty of Semipaltinsk, covering portions of Central Asia, have been signed but have not yet been entered into force. Also, (and of some relevance to efforts to create an ANWFZ), denuclearization provisions have been included in yet - uninhabited areas, specifically the 1959 Antarctic Treaty, the 1967 Outer Space Treaty, the 1971 Seabed Treaty, and the 1979 Moon Agreement. Article VII of the NPT and numerous U.N. resolutions affirmed the right of states to establish NWFZ's in their territories, and the 1995 NPT Review and Extension Conference encouraged regional denuclearization measures as an important means of reducing global and regional peace and security. Thus, NWFZ's have become part and parcel of the NPT regime. The treaty establishing the zone should be of unlimited duration. So, given the United Nations' roadmap for the creation of NWFZ's, how easy will it be to construct one in the Arctic? The first and most obvious problem, detailed in earlier sections, is posed by principle (4). The zone we're discussing is specifically regional, and the participation of the two major military states is most unlikely. But, note the wording: it does not say, all militarily significant states must participate, only that it would be desirable that they do so. This leaves open the possibility that an ANWFZ could be set in motion without the participation of the United States and the Russian Federation, not precluding the possibility that these powers might join later. Nonetheless, many would argue that an Arctic Zone without the two strongest powers wouldn't be much of a zone at all, and we discussed at length above the obstacles that would interfere with these two powers joining. But there may be ways that these obstacles could be overcome in the future. With regard to the United States, the Arctic portions of its territory are de facto nuclear weapons free. And, were they to establish land - based strategic nuclear installations there in the future, they would certainly have to be subject to the restrictions of START and its successor treaty. 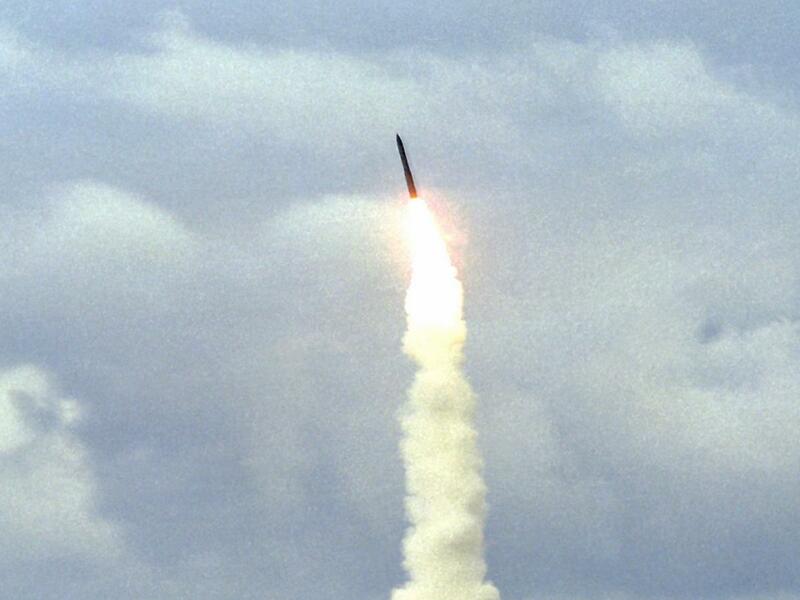 Historically the U.S. has chosen to station its strategic missiles as far as possible from potentially hostile territory, and stationing them in Alaska would be unlikely in the extreme. To be sure, as noted above it would be virtually impossible to persuade the U.S. to declare northern Alaska nuclear - free, it might be possible to write language into the treaty wherein the U.S. does not formally accede, but its participation in the START follow-on treaty shall be taken as de facto Arctic de-nuclearization. The Russian Federation is a different matter. As noted above, they have a number of bases that homeport their ballistic missile submarines well north of the Arctic Circle, and many weapons storage facilities as well, all described above. While this seems to be an insuperable obstacle in the short term, there may be ways around it in the long term. Dr. Adele Buckley has suggested that the Russians may be persuaded to move the SSBN homeports of the Northern Fleet to expanded facilities already in place for the Pacific Fleet. From the Russian point of view this would pose a number of problems: the poor infrastructure linking their Pacific bases with the nuclear command centres in the area around Moscow, the possible threat posed by an expanding Chinese navy, and the state - of - the - art ASW capabilities of the Japanese destroyer and submarine fleet. Moreover, as noted earlier, the Russians feel more comfortable maneuvering their subs in and under the thermal and salinity "layering" produced by the Arctic ice. But given that ice generated layering is giving way to open ocean, perhaps they may soon feel that the Arctic locations of their submarine bases might not give them the tactical advantages they have enjoyed in the past. Are there any other reasons that might induce the Russians to abandon their Northern Fleet bases? Here we enter into the realm of speculation. In 2002 the two largest nuclear powers appeared to be backing away from earlier commitments to achieve deep cuts in their nuclear arsenals, post - Cold War. The US gave notice of its withdrawal from the 1972 Anti-Ballistic Missile Treaty; immediately thereafter, the Russians repudiated the detailed limits contained within the as yet ungratified 1993 START II arms control treaty. With the existing START agreement due to expire in December 2009, an interim agreement called SORT was cobbled together to take its place. Unlike earlier arms control agreements that set forth precise counting rules and detailed requirements as to what was permitted and what was not, SORT provided only the loosest restrictions on warhead numbers, types, and configurations: Each side was to reduce the number of its deployed strategic warheads to between 1,700 and 2,200 apiece. But how this was to be done was left almost totally vague; in the words of Secretary Colin Powell, "the Treaty will allow you to have as many warheads as you want". The treaty made no distinction between those deployed on launch vehicles, those in storage but "ready to go" with their tritium still in place, and those in "storage" with their tritium removed. In a crowning absurdity, the Treaty was set to expire on the very date its limits came into force! We have developed this point at length for a specific reason: under the current arms control regime, there is no treaty - induced incentive to make hard choices between which strategic systems to retain, and which to dismantle. The only real restrictions on the development of additional strategic systems are fiscal. Why then would Russia wish to abandon her most powerful strategic nuclear bases, especially as they are located front and centre in the region of greatest competition for Arctic resources? One can conceive of a possible world in which Russia would have a significant incentive to denuclearize its Arctic littoral; if it were a condition for a much more significant and enforceable strategic arms control treaty that would guarantee Russia strategic parity with the US. If, has been proposed by a number of prominent security experts, a new arms control treaty was negotiated the number of nuclear warheads for each side was reduced to 1,000 or even 500 - these numbers representing genuine parity with no "fiddles" in the form of readily retrievable reserves or ABM systems - then it would be hard to imagine the Russians turning it down. No time to discuss this here, but the bloated white elephant that represents the Russian military - nuclear complex is something most Russians, even in the military, would like to see heavily pruned. And - here's the nice part of the argument - if Russia is to keep only a minimal deterrent, then, as argued above, keeping its most reliable, invulnerable and effective land - based missiles is by far the most rational course. And thus, in one feel swoop, a huge obstacle to achieving an ANWFZ is swept aside. Now as things stand, this may well be the equivalent of arguing that wishes are horses. Certainly we are a very long way from legions of mounted homeless. But the atmosphere for deep cuts in nuclear stockpiles is more favourable than it has been since the 1987 INF Treaty. We will know the answer, one way or the other, in the next few months. As noted above, in citing the United Nations' resolution creating a "road map" for NWFZ's, there's no need for everyone to join at once: "Obligations relating to the establishment of such zones may be assumed either by groups of states, continents, or geographical regions, or by smaller groups of states or even individual countries" (emphasis added). As I've argued in an earlier paper, one easy step would be to declare the Northwest Passage a NWFZ. The Canadian government has an excellent claim that the NW Passage constitutes Canadian internal waters. There's no reason why Canada would not be willing to negotiate transit agreements, but there's every reason why such agreements should deny the passage of radioactive cargoes. It's worth noting in passing that radioactive cargo transiting all newly ice free Arctic sea routes may soon become an issue affecting the entire region, as, for example, Japanese reactor cores are shipped to Russia for reprocessing at Mayak or elsewhere. Josef Goldblat suggests that small and medium - sized countries in the region such as Canada are uniquely situated to initiate a debate on this and similar environmental problems in the Arctic littoral. He advocates declaring the entire Arctic area "a common legacy of mankind", and notes that "the interest in creating a new regime in the Arctic would increase if the denuclearization efforts were made in parallel, as well as in conjunction, with scientific investigations leading to climate change". Naturally following from this is an idea proposed by my colleague, Dr. Adele Buckley. She suggests that all Arctic states presently non-nuclear agree to work together on a regional treaty, as allowed for in the Nuclear Non-Proliferation Treaty, to "assure the total absence of nuclear weapons from their respective territories." This would include Canada, Denmark, Norway, Sweden and Finland. This way of proceeding is similar to that adopted in the construction of the Treaty of Tlatelolco. Under this "Tlatelolco model", the treaty comes into force immediately once states began to ratify it, and others could opt in separately later, gradually extending the area under the treaty's jurisdiction. The Parliamentary Network for Nuclear Disarmament agrees, and suggests adding a protocol whereby nuclear weapons states would agree not to deploy, threaten or use nuclear weapons in the entire Arctic zone. Denmark and Sweden have already taken initiatives in this direction. In 1988, they reiterated long standing official Danish policy that in time of peace, the introduction of nuclear weapons to the country is prohibited, and insisted that ships entering Danish ports not carry them. Iceland, Norway, and Sweden have similar prohibitions. However, as we discussed above, considerable pressure has been exerted from larger NATO states (particularly the U.S. and Britain), and, as the result they have generally chosen, in effect, to turn a blind eye to the telescope rather than risking offending their senior allies. Nonetheless, the difficulties encountered in attempting to make slow, piecemeal progress to an ANWFZ should not prevent us from moving ahead, nor the many obstacles daunt us from making the attempt. There is too much at stake in the evolving Arctic to quit before we even start. As Michael Hamel-Greene reminds us, "In the case of all of the successfully established zones, there were critics and pessimists who suggested such zones would never be agreed on". Concluding Thoughts: Can the Tail Wag the Dog? Most of the preceding discussion - and indeed, nearly all discussion of the problems and prospects of an ANWFZ - has proceeded on the assumption that we "little folk" - the small, NNWS making up much of the Arctic littoral - can only achieve our goal by cleverly maneuvering around the immovable "givens" posed by the dominant nuclear powers that exercise de facto military control over the arctic, and whose tight web of bases, nuclear deployments, and alliance commitments are essentially unchallengeable. But the world's climate is changing. The weather, of course, and nowhere more rapidly and dramatically than in the Arctic Ocean and littoral. But what is also changing is the willingness to hold in place nuclear deployments and alliances whose rationale is rooted in the Cold War and not in present - day reality. In requesting - insisting - that nuclear weapons be removed from the Arctic we are neither abandoning our traditional allies nor attempting to create new conflicts. Rather we - the peoples of the Arctic - are challenging not only the leftover detritus of the rickety Cold War structure but even more fundamentally the relevance of the Westphalian paradigm itself as a useful model for governance in the Arctic. The outworn zero - sum competition between nation states is everywhere giving way to geographical communities of interest aimed directly at a win - win outcome for all the participants. In the Arctic, of course, are many additional challenges, chief among them perhaps finding ways to cope with the rapidly changing physical climate and ways to assure the well being of the oft - neglected original inhabitants. How we shall meet these challenges is beyond he scope of this paper and certainly outside the expertise of the authors. Of this, however, we are sure: that nuclear weapons play no useful role in the challenges of the rapidly - evolving Arctic, and indeed can be nothing but a lethal impediment to progress. [i] Michael Wallace is Professor Emeritus at the University of British Columbia; Steve Staples is the President of the Rideau Institute in Ottawa. Both are members of the Executive of the Canadian Pugwash Group. Mark Serreze, "Arctic Amplification and Loss of Sea Ice Cover", NSIDC, 16 December 2008. John Pike, "Countries in Tug-of-War over Arctic Resources", www.globalsecurity.org 02 January 2009. Trofimov, Dmitry (Head of Political Section, Embassy of the Russan Federation), Evidence of the Standing Committee on National Defence, 23 March, 2009. Saunders Doug, "Hands off our Arctic, Canada tells Europeans", The Globe and Mail, 16 May 2009. Chase, Steven "Russia won' bully Canada in Arctic, Cannon vows" The Globe and Mail. 27 March 2009. General Renuart, Victor E., Jr. (USAF, Commander United States Northern Command and North American Aerospace Defense Command). House Armed Services Committee, 18 March 2009. "U.S. sub visit embarrasses Canada" The Star Phoenix (Saskatoon) 20 December 2005.
 ibid. In similar fashion to their B-1 counterparts, a non-nuclear armed cruise missile is being developed to diversify their mission capabilities. Norris, Robert S., Hans M. Kristensen "Russian nuclear forces, 2008" Bulletin of the Atomic Scientists. May/June 2008.
 http://www.globalsecurity.org/wmd/world/russia/tu-160-specs.htm. Most analysts consider these obsolescent and primarily held in reserve, but they are counted as "active" for purposes of the START Treaty. See http://www.fas.org/nuke/guide/russia/bomber/tu-160.htm. The Chinese are constructing a fleet of nuclear powered submarines, but Western analysts disagree about their capabilities and date of deployment. http://www.fas.org/nuke/guide/china/slbm/type_94.htm and http://www.globalsecurity.org/wmd/world/china/type_94.htm. India is planning a nuclear submarine fleet, but it is still at the technical demonstration phase. Deployment is not expected until after 2020. http://www.globalsecurity.org/military/world/india/atv.htm and http://www.globalsecurity.org/wmd/world/india/atv.htm . http://www.globalsecurity.org/wmd/systems/ssbn-726-specs.htm. Technically, this means that the typical SSBN has a very high polar moment of rotational inertia. Here and infra I shall be referring to information obtained from conversations and interviews with former and serving nuclear submarine commanders and officers, and senior intelligence officers and other government personnel (serving and retired) from various countries, including, inter alia, the United States, the Russian Federation (and, earlier on, the Soviet Union), and a number of NATO countries. For several reasons, this information cannot be attributed to specific individuals. Some was gleaned from Pugwash workshops, and thus unattributable under Pugwash's "Chatham House Rules". Much of the rest was obtained with the specific understanding that it was not for attribution. The accuracy of these numbers is dependent upon the number of seaworthy hulls that carry the missiles, as discussed above. It should be noted as well that all currently deployed SLBM's are liquid - fueled, and therefore considered obsolete by Western standards. Norris and Kristensen, op. cit. http://www.fas.org/nuke/guide/russia/icbm/rt-2pmu.htm. The Topol-M also has anti-missile countermeasures never achieved by a Russian SLBM, most notably a very short burn-time and a depressed steerable trajectory. Norris, Robert S., Hans M. Kristensen, "Nuclear Notebook: U.S. nuclear forces, 2009" Bulletin of the Atomic Scientists. March/April 2009. Norris, Robert S., Hans M. Kristensen. "British Nuclear Forces, 2005" Bulletin of the Atomic Scientists, November/December 2005. Norris, Robert S., Hans M. Kristensen. "French Nuclear Forces, 2008" Bulletin of the Atomic Scientists, September/October 2008. Comments from an anonymous Russian naval source. Canwest News Service "Russian general fires Arctic warning" 24 June 2008. Mazzetti, Mark and Thom Shanker "Russian Subs Patrolling Off East Coast of U.S." The New York Times. 4 August 2009. Hamel-Green, Michael, "Existing Regional Nuclear Weapons Free Zones: Precedents that could inform development of an Arctic nuclear weapon free zone" Victoria University, Melbourne (undated). Weber, Bob "Denmark joins Arctic arms race" The Toronto Star. 26 July 2009. Even the US Navy will "neither confirm nor deny" the presence of nuclear weapons on board its ships, no matter how improbable it is that a particular ship or class of ship would be carrying them. Neither of the authors have any training in international law, so this statement is entirely speculative. U.S. State Department Briefing Document, 8 December 1995. ibid., and Buckley, Adele, "Establishing a Nuclear Weapon Free Zone in the Arctic". Pugwash, Parliamentarians, and Political Will: Advancing the Agenda for Abolition. Pugwash, Nova Scotia: 11 July 2008. For an excellent analysis in detail, see Jozef Goldblat, Arms Control: A Guide to Negotiations and Agreements. Oslo and London: PRIO and SAGE, 1994. Goldblat, op. cit., 2008, p. 41. Buckley, Adele. "Establishing a Nuclear Weapon Free Zone in the Arctic," presented at Thinkers Lodge, Pugwash N.S., 11 July 2008. Goldblat, op. cit. 1997, p. 19-21. Goldblat, loc. cit. 1997, p. 30.